1880. Baronet Sir Emil Bardo, known as Lone Bardo, Peer of the Kingdom, member of the aristocratic Explorers Club of London, indefatigable adventurer, is moved by the desire to help the unfortunate. 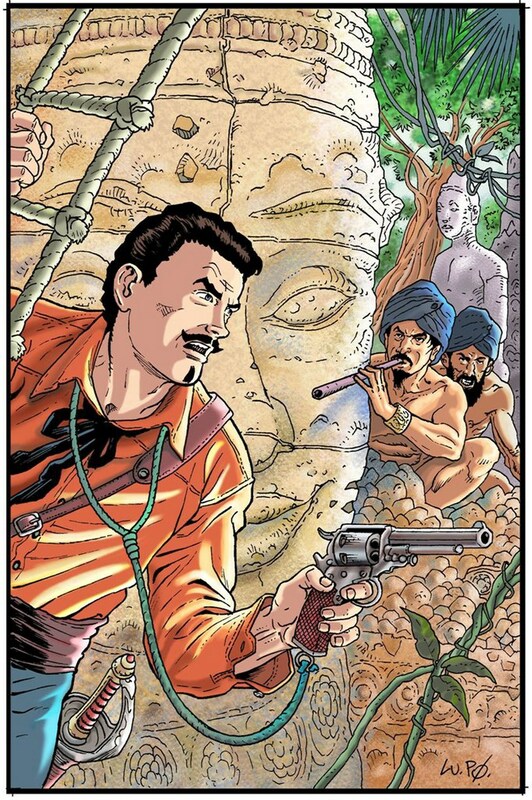 He sets off in search of his friend John Kirkpatrick who disappeared in India. It is but the beginning of a long journey that will take him and his faithful butler James to the four corners of the globe. On the alternate world of Mosaic-Earth, Lone Bardo is a member of the Freeshooters.